Is there such a thing as having people's best interest in mind when it comes to their overall health anymore? Last week you learned how your tax dollars are making America sick, literally, as the USDA provides 97%-98% of its subsidies to promote the production of foods that are linked to the gluttony of chronic diseases that people are suffering from in this country. Then the USDA turns around and publishes dietary guidelines telling us to eat these same foods in our everyday diets. This week you'll learn how money changes hands between special interest groups and the world of politics and industry when it comes to our health, our food, and our attempts to "fix" the American healthcare crisis. Picture yourself in charge of finding a solution to our current healthcare crisis. What would you do? Heart disease, cancer, diabetes, strokes, osteoporosis, obesity, and the list goes on and on and on. That's a big task to say the least! And I'm sure you would agree that the most logical and successful way to approach these issues would be to allocate as much of our nation's financial resources as possible towards the methods proven to be the most effective, safest, and least costly when it comes to treating these diseases. To do this, you first need to know which methods of treatments are the most effective, safest, and least costly. Second, you need to know where the money goes and how this money influences what treatments end up being talked about when you're sitting in the exam room of your doctor's office. Chronic Diseases - What Are My Options? If you have one or more of the many different chronic diseases (heart disease, obesity, diabetes, cancer, etc.) commonly found in today's society there's two main options to go about treating them. 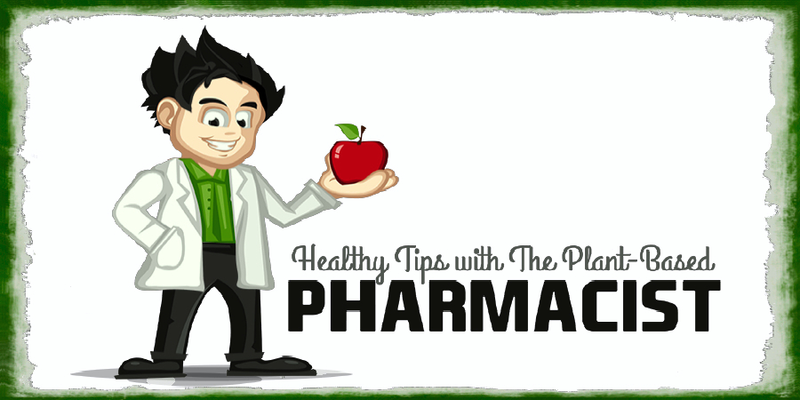 You can either follow the traditional path of conventional medicine which relies heavily on pills, procedures, and surgeries to manage these illnesses or you can follow the more progressive path of lifestyle medicine which includes dietary changes along with regular exercise and other lifestyle habits to prevent and reverse these illnesses. You're probably thinking to yourself, "Lifestyle changes can't possibly match up to the much more revered state of the art techniques found in conventional medicine?" It's easy to think that way with the culture and atmosphere we live in. We're constantly bombarded by advertisements for the next best drug or medical device every time we turn around. Our medical community of doctors, nurses, pharmacists, etc. are bombarded by these same tactics so we hear these same things from our experts as well. I'll get into why this is so later on but for now let's take a look at what works and what doesn't when it comes to chronic diseases. Cardiovascular disease is the #1 killer both worldwide and here in the U.S. Millions of people suffer and die from this debilitating illness which is by enlarge completely preventable. Conventional medicine approaches this disease with a variety of drugs. Some drugs make your blood pressure go down, some slow your heart rate, while others lower your cholesterol, thin your blood, or make your blood vessels dilate. These all help to reduce the symptoms of heart disease and the discomfort that comes along with it but they all come with side effects of their own. And there's not a single pill out there that will reverse the disease. 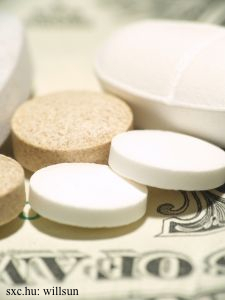 On top of this, these medications can also be very expensive. 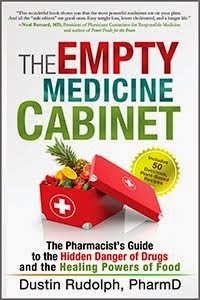 The cost for a year's supply of Lipitor without insurance from Costco Pharmacy is approximately $1,875.00. And Costco typically provides some of the lowest prices of all pharmacies. Keep in mind that this is only one drug and many heart disease patients are on several medications. Then there's the expensive and risky procedures such as angioplasty and open heart surgery. Angioplasty is the procedure where a balloon is inserted via a central catheter in a coronary artery containing a blockage and then inflated thereby restoring blood flow. This procedure costs approximately $10,000 and while it may lead to reduced chest pain in patients with chronic, stable angina it offers no protection against another heart attack nor does it reduce your risk of death . Open heart surgery (coronary bypass graft - CABG) is another option performed to treat coronary artery blockages. This procedure costs anywhere from $75,000 - $150,000 according to Blue Cross/Blue Shield. Following a CABG, 30% of patients will see a recurrence of their chest pain after 1 year and 40% will experience the same after 6 years . There's also a 2-9% risk of having a stroke during or just after the operation  and a 1.0-4.6% chance of dying during the surgery . Needless to say, unless it is an emergency, life-threatening situation these options are very costly and ineffective in the long run. On the other hand, two different physicians have shown that by simply switching heart disease patients to a low-fat, plant based diet (fruit, vegetables, legumes, and whole grains) they were able to not only relieve the symptoms of cardiovascular disease but completely reverse the disease itself. Dr. Dean Ornish published a study that spanned 5 years showing these remarkable results  and Dr. Caldwell Esselstyn published a study spanning a 12 period showing the reversal of coronary artery disease in his patients . Since only dietary and other lifestyle modifications were made in these patients there were no side effects from drugs or surgeries but only benefits of healthier lives. In fact, most of the patients were able to get off their medications all together in these scenarios. You can find out more about Dr. Esselstyn's work here - The Secret to Becoming Heart Attack Proof. The work of these two physicians and others like them has shown beyond a shadow of a doubt that heart disease is largely due to our high-fat American diet of meat, dairy, eggs, and processed food. Type 2 diabetes is another disease with two very different treatment approaches. Conventional medicine again uses a number of different drugs to combat diabetes. These medicines typically work either by making your pancreas produce more insulin or by increasing insulin sensitivity in your body. Once your doctor puts you on these drugs you'll more than likely have to take them for the rest of your life and eventually add insulin shots to the mix when they stop working as well as they did initially. 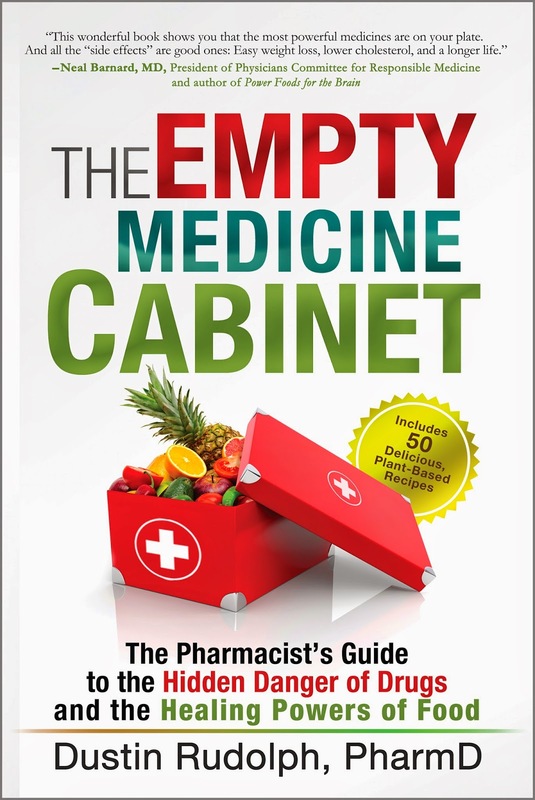 All of these medications bring their own array of side effects including hypoglycemia, weight gain, heartburn, stomach cramps, upper respiratory infections, sinus infections, and peripheral edema just to name a few. Never has a patient ever reversed their type 2 diabetes with medication alone. On the contrary, approaching type 2 diabetes at its root cause, which is the typical high-fat, western diet consisting of meat, dairy, eggs, and processed foods, has proven much more effective and less costly. 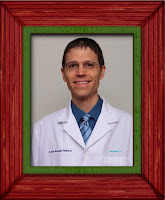 Dr. Neal Barnard has shown in his studies that type 2 diabetes can not only be controlled but better yet reversed by putting his patients on a low-fat, plant-based diet (fruits, vegetables, legumes, and whole grains) [7-9]. The only side effects seen by this approach were positive in nature as patients lost weight, regained their energy, and felt better overall. You can learn more about how to do this by reading this article - Type 2 Diabetes - The Cause and The Cure. Many other chronic diseases are also approached with very expensive and ineffective treatment approaches that come with the risk of complications and side effects by using medications, procedures, and surgeries as first line therapies instead of last line alternatives. These include obesity, osteoporosis, cancer, arthritis, multiple sclerosis, inflammatory bowel disease, and many more. Often times patients are put on medication after medication after medication in hopes of these medications being the cure all. However, nobody informs these same patients about the true cause of their disease which is largely due to the rich, western foods we eat. You can read more about this topic here - Foods That Promote Disease. In addition to this, the medical community as a whole has had little to no training when it comes to counseling and treating their patients with the safest and most effective treatments available - proper nutrition in the form of a plant-based diet and some moderate exercise. You can read more about this nutritional approach here - Foods That Promote Health. So why does this happen? Why does the medical community and general public end up with the short end of the stick when it comes to having this life saving information? If you want straight answers to tough questions when it comes to our nation's healthcare crisis then what should you do? There's only one answer - follow the money. Our healthcare system and the modern American life that we currently live has never been influenced more, than it is now, by the love of money. You may not be surprised that lobbying and special interest groups play a part in this process but what might surprise you is just how egregious it really is. One of the ways these companies influence how healthcare practitioners end up treating their patients on a daily basis is by simply buying their loyalty. Propublica is an independent, non-profit news agency that produces investigative journalism in the public interest. In 2010, they published the Dollars for Docs database detailing payments made to doctors on behalf of eight different pharmaceutical companies that came to a total of $320 million over a two year period. The drug companies included some of the more well known ones - Pfizer, Merck, GlaxoSmithKline, Eli Lilly, Johnson & Johnson, and AstraZeneca. Many of these payments were made to doctors and other healthcare providers for their consulting services, speaking fees, business travel, and meals. Now tell me, if you were the recipient of one of these payments wouldn't you feel at least some obligation to use these pharmaceutical company's products? If you're curious as to whether or not your doctor made the list of recipients you can find out here. Another major influence that determines what kind of medical treatment information makes its way into your healthcare providers hands is that of various medical associations and health advocacy groups. Examples of these groups include the American Medical Association, American Diabetes Association, and the American Cancer Society just to name a few. These groups get part of their funding from the industry (aka drug companies and medical device companies) to carry out their work in promoting whatever interest or cause that relates to them. Senator Charles Grassley of Iowa sent a letter to 33 of these organizations requesting them to list their industry funding and note whether or not that funding was made public information. Propublica detailed the responses from these organizations in their article titled Medical Groups Shy About Detailing Industry Financial Support. Propublica found that some organizations received a substantial amount of their funding from industry sources. 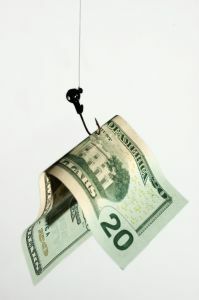 The American Academy of Allergy, Asthma and Immunology received more than 40% of their funds from the industry in 2008. The North American Spine Society got more than 50% of their financial backing by the industry in 2009. The same was true for the Heart Rhythm Society in 2010 as they saw 50% of their financial support originating from industry sources. Propublica went on to report in another article, titled Financial Ties Bind Medical Societies to Drug and Device Makers, that thousands of cardiologists attending a conference put on by the Heart Rhythm Society were "bombarded with pitches for drugs and medical devices" throughout the 4 day event in San Francisco. One example of this is that all the major companies making implantable cardioverter defibrillators were in attendance giving their sales pitch for these products. One defibrillator can cost more than $30,000 and a single physician can implant dozens of these per year. The article goes on to say that according to JP Morgan world sales of these devices totaled $6.7 billion in 2010. What's alarming about all of this is that the Journal of the American Medical Association just published a study earlier this year that showed 22.5% of patients who had a defibrillator implanted did not meet the scientific criteria for this procedure in the first place  which herein again leads to unnecessary, expensive, and high risk procedures that do not benefit the patient and only serve to pad the bottom line of these medical device corporations. Is it just me or is there something not right about a fifth of these healthcare "customers" (patients) being scammed out of tens of thousands of dollars not to mention pain and suffering only because they didn't know any better? Nor should they be expected to know better. That's why we have experts in a position to help guide us through these complex situations. Moving on how about lobbying contributions... does Big Pharma and other industry players hand out contributions to your favorite politician or government agency? You better believe it. 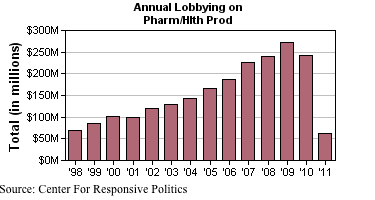 According to the Center For Responsive Politics from 1998 to 2011 the health industry was second only to the finance/insurance/real estate industry in terms of total lobbying contributions made, with just over $4.5 billion given over this 14 year period. Of this amount just under 50% or $2.15 billion came from the pharmaceutical and health products sectors. Individual contributers within these sectors include Big PhRMA, Pfizer, Merck, and Medtronic (makers of the cardio defibrillator mentioned above). You can view the full list of contributers here. A bar graph representing the total of these contributions can be seen below. To understand just how much our government agencies are inundated with these special interests groups you don't have to look far. 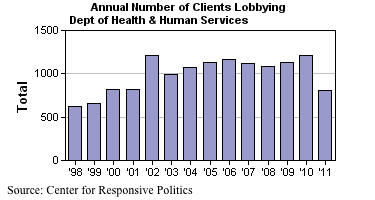 The U.S. Department of Health and Human Services had a total of 1,206 clients (aka "lobbyists") vying for their attention in 2010 alone. You can find the full list of how many clients each individual company had hired to perform their lobbying duties here. A bar graph below shows the number of lobbyists assigned to the Dept. of HHS from 1998-2011. The meat and dairy industries also play a pivotal role when it comes to our nation's health. We've already touched on how their products contribute to many of the chronic diseases that millions of people suffer from in our country. And their existence and subsequent success often rides on the massive amount of food subsidies they can rake in to help their bottom line. You can learn more about that topic in my article here - Our Taxes - Are They Making Us Sick? But how do they get these subsidies in the first place? You guessed it... lobbying, lobbying, and more lobbying. The U.S. Department of Agriculture (USDA) is responsible for divvying out those food subsidies AND for publishing the Dietary Guidelines for Americans which is the basis for the food pyramid that everyone follows when it comes to their diet. This being said the USDA had a total of 942 lobbyists working them over for all those subsidy programs in 2010 alone. Individual companies who had lobbyists working on their behalf include the National Milk Producers Federation, National Pork Producers Council, Kraft Foods, Nestle SA, Cargill Inc, Smithfield Foods, Dean Foods, Tyson Foods, and the McDonald's Corp to mention a few. The entire list can be found here. 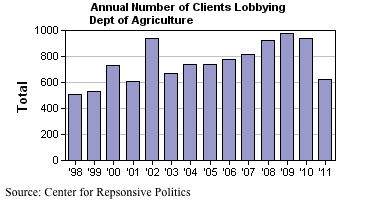 A bar graph below represents the total number of clients lobbying the USDA from 1998-2011. Let's examine some of the above mentioned companies so you get a feel for who's who within the meat and dairy industries. are also the second largest food production company in the Fortune 500 according to their website. - Smithfield Foods is the world's largest producer and processor of pork. largest manufacturer of dairy ice creams. - Dean Foods is the largest U.S. processor and distributor of milk, creamer, and cultured dairy products. The dairy industry contributed a total of $55.2 million over the last 14 years in lobbying funds. Dean Foods is one of the largest contributors. You can find the full list of contributors for 2010 and previous years here. 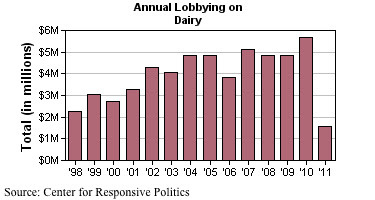 The bar graph below shows the lobbying contributions by the dairy industry from 1998-2011. 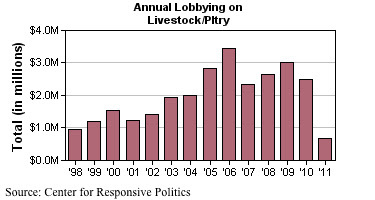 The livestock industry contributed a total of $27.7 million over the last 14 years in lobbying funds. The National Pork Producers Council and National Cattlemen's Beef Association are two of the biggest donors. You can find the complete list for 2010 and previous years here. 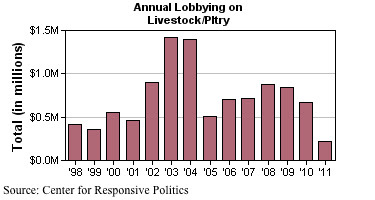 The bar graph below shows lobbying contributions from 1998-2011 from the livestock industry. And last but not least the poultry and egg industry contributed a total of $10.1 million in lobbying funds over the last 14 years. Two of their biggest contributors include the National Chicken Council and National Turkey Federation. You can find the complete list for the year 2010 and previous years here. The bar graph below represents the lobbying contributions from the poultry/egg industry from 1998-2011. We're living in an era where life and all the wonderful opportunities to enjoy it have never been more plentiful. There's so much to do and experience in today's world. And we find ourselves spending the first two thirds of our life working so hard to get to that remaining third of our life so we can do just that, experience everything we've ever talked about as we've grown older over the years. But, unfortunately, by the time most people get to their retirement years they've grown too tired or too sick to take full advantage of all those magnificent opportunities. On top of all this, we have a healthcare system that's designed not to return us back to excellent health but merely keep us afloat, treading water as if the concept of a rescue boat never existed. Big money and big greed have gotten in the way of human beings helping human beings. When it comes right down to it, physicians want what's best for their patients, patient's want what's best for themselves, and I'm even willing to bet that if you were to sit down individually with a majority of the CEO's of big corporations or even your elected officials they would say they want to leave this world knowing they did what's best for individual patients too. But collectively as a whole we're all going about our daily lives participating in activities that are contrary to what's in our best interests. You can't control how your doctor goes about conducting his medical practice. You can't control how the CEO of a pharmaceutical company conducts his business. You can't control whether or not your elected officials are influenced by lobbyists and all their money. But you can control how you live your life. And if your wish is to live your entire life feeling great, looking good, and experiencing life to its fullest then the best chance you'll ever give yourself is to change your current course of actions. Following the standard American diet and a sedentary lifestyle will only throw you in the midst of a losing game with your doctor, your elected officials, and the corporations who control them. Adopting a plant-based diet and staying active will, without a shadow of a doubt, empower you to take back control of your own destiny and live out all those ideas you've always been dreaming of. You can do it! I wish you the best and if you need more help to get started feel free to check out my website. There's a multitude of fantastic resources on it to help you be successful as you embark on your journey forward. 1 Weintraub WS, Boden WE, Zhang Z, et al. Cost-effectiveness of percutaneous coronary intervention in optimally treated stable coronary patients. Circ Cardiovasc Qual Outcomes. 2008 Sep;1(1):12-20. 2 Cameron AA, Davis KB, Rogers WJ. Recurrence of angina after coronary artery bypass surgery: predictors and prognosis (CASS Registry). Coronary Artery Surgery Study. J Am Col Card. 1995 Oct;26(4):895-899. 3 Dafer RM. Risk Estimates of Stroke After Coronary Artery Bypass Graft and Carotid Endarterectomy. Neurol Clin 24 (2006) 795–806. 4 Villareal RP, Lee V, Elayda M, et al. Coronary Artery Bypass Surgery versus Coronary Stenting Risk-Adjusted Survival Rates in 5,619 Patients. Tex Heart Inst J. 2002; 29(1): 3–9. 5 Ornish D, Scherwitz LW, Billings JH, et al. Intensive lifestyle changes for reversal of coronary heart disease. JAMA. 1998 Dec 16;280(23):2001-7. 6 Esselstyn CB Jr. Updating a 12-Year Experience With Arrest and Reversal Therapy for Coronary Heart Disease (An Overdue Requiem for Palliative Cardiology). Am J of Cardiology 1999 August 1; 84:339-341. 7 Barnard ND, Scialli AR, Turner-McGrievy G, Lanou AJ, Glass J. The effects of a low-fat, plant-based dietary intervention on body weight, metabolism, and insulin sensitivity. Am J Med. 2005;118:991-997. 8 Barnard ND, Cohen J, Jenkins DJ, Turner-McGrievy G, Gloede L, Jaster B, Seidl K, Green AA, Talpers S. A low-fat, vegan diet improves glycemic control and cardiovascular risk factors in a randomized clinical trial in individuals with type 2 diabetes. Diab Care. 2006;29:1777-1783. 9 Barnard ND, Katcher HI, Jenkins DJA, Cohen J, Turner-McGrievy G. Vegetarian and vegan diets in type 2 diabetes management. Nutr Rev. 2009;67:255-263. 10 Al-Khatib SM, Hellkamp A, Curtis J, et al. Non–Evidence-Based ICD Implantations in the United States. JAMA. 2011;305(1):43-49. Bravo! This is a super informative, eye opener with lots of links to back up your article! You are absolutely right in saying that we are in control of our own destiny in regards to a healthy lifestyle. Hopefully this article will help people understand where their food comes from and decide to live a healthier life by voting with their forks, knives, and spoons!